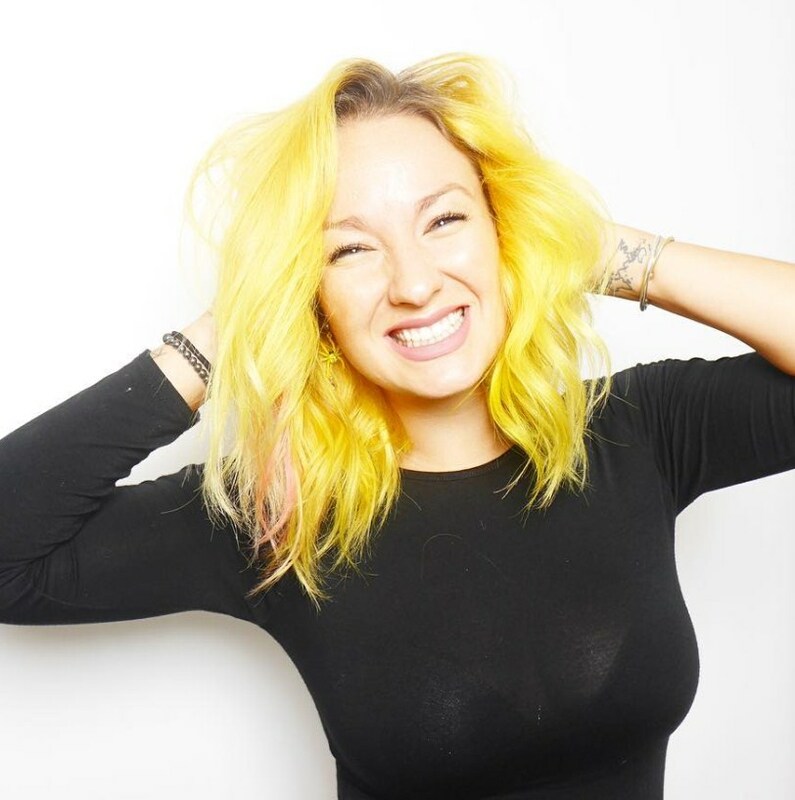 Yellow hair rocks and it is perfect for any lady that wants to break away from the norm by coloring her strands with a distinct and bright pastel shade. Instead of going for the typical blondes and browns it is good to go for one of the many shades of yellow and create a design that you will hardly see with any ones else. 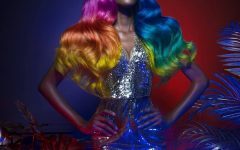 With this lovely shade, you only need to give your strands a good chop and then use a trendy coloring technique such as balayage and in modern patterns like ombre and sombre to create a top notch headdress. And so if you are looking to upgrade your appearance with a bright color below are 25 ways that you can wear yellow. 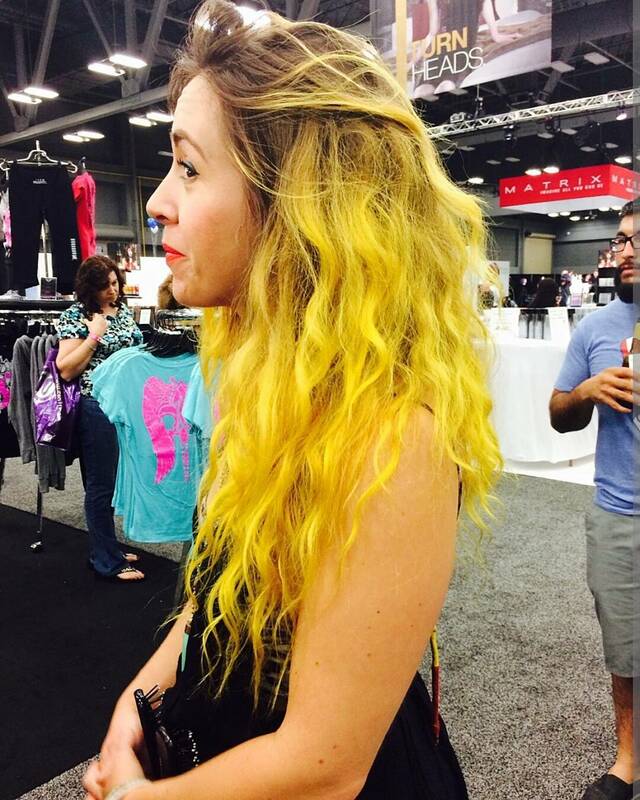 This bright shade is what most people know as yellow, and it is hand painted in the face framing wavy locks. 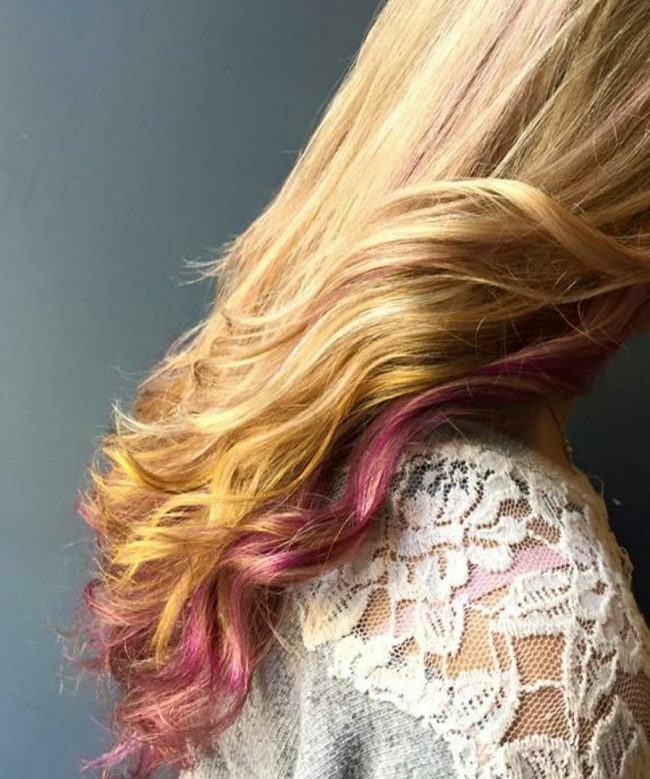 The design has some darkened roots for some contrast, and you can also spice it up by introducing some subtle hints of pink on the ends. 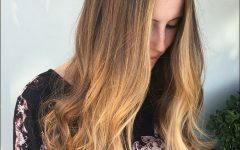 Balayage is the only technique that can guarantee that you get the exact shade and color pattern that you want. In this design, it is what makes the lemon zest tone look amazing, and all that you need to do in this style is to give the roots a light brown shade to create the perfect ombre pattern. And for styling you only need to form a center part to expose the color contrast. 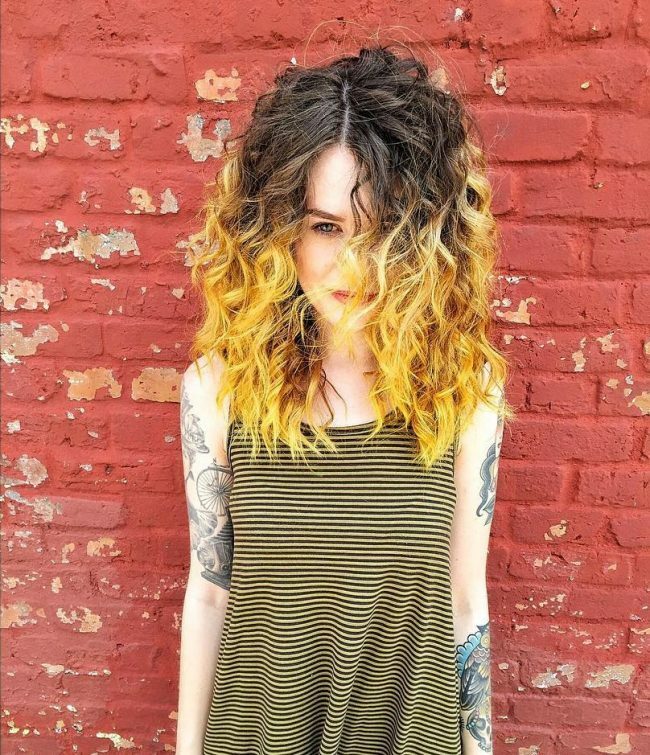 These thick curly locks have an amazing texture that also helps to enhance the appearance of the colors. The hues are hand painted, and they entail transitioning drastically from the natural brown shade to a dark amber hue to create a perfect contrast. You should finish by styling your curly locks in a face framing design. A windswept bob haircut like this one will look beautiful on any woman that can replicate it and this is more so if she styles it inventively with a deep side part and side sweep. However, you also have to give it a perfect color. The combination of pink and yellow is ideal for this as it not only brightens the design but also gives it some class. 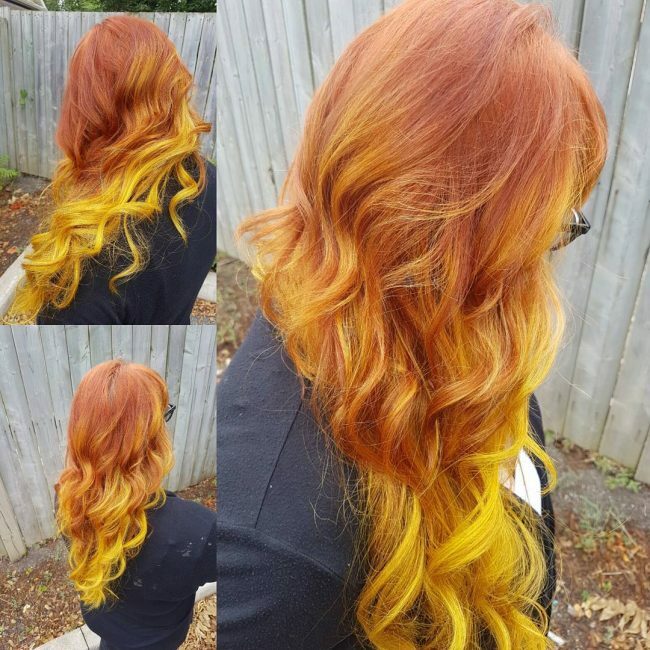 The transition from the bright orange shade to the golden glow in the lower half of the hair is breathtaking, and this is what you should have for a perfect shiny hair. And to take the appearance a notch higher the long wavy locks also have a neat crown braid that wraps around the head to add some elegance to the design. 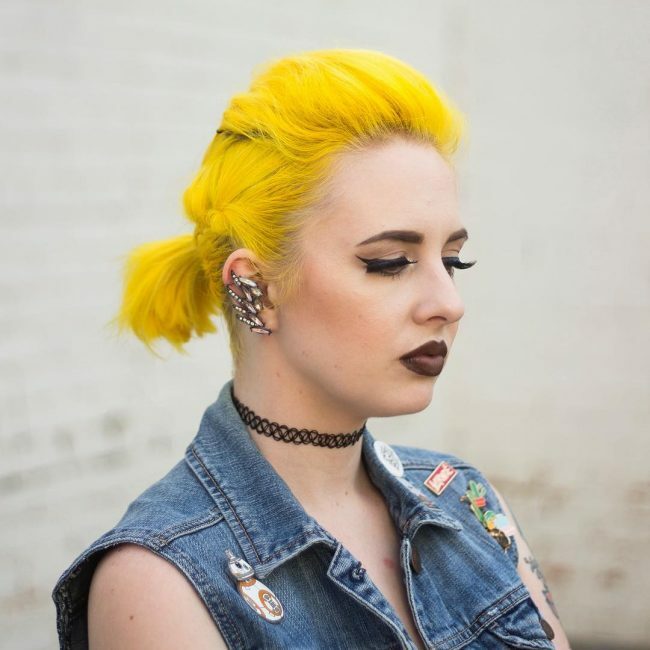 There are many shades of yellow to choose from but the fact that this one goes well with the wearer’s skin tone is what makes it a perfect choice. 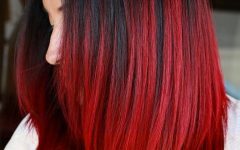 It is hand painted on the shoulder-grazing locks, and one should also leave a hint of her natural brown shade on the roots to enhance the bright shade and finish by sweeping the glossy strands to the side from a center part. A distinct shade like this one can only come from melting yellow and green. The blend of the two shades is fantastic and to ensure that you get this look you should use balayage to color your strands. The extra short and uniform spikes in the design are also fabulous as they help to enhance the appearance of the color. Some shades like this one are easy to achieve, and so you can do it at home without any professional help. 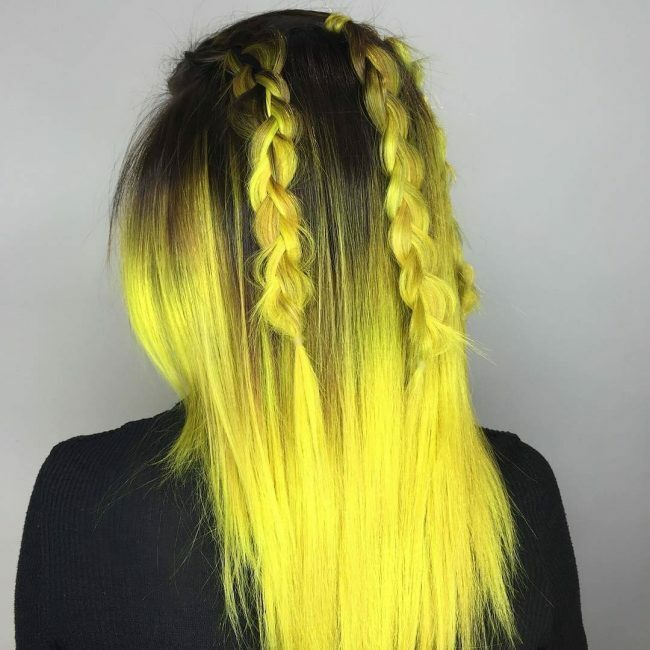 Bright yellow is a standard color, and so once you figure out the combination, you can use the dye to give your hair this perfect tone as it does not have any complicated design and you only have to spread it throughout the head. 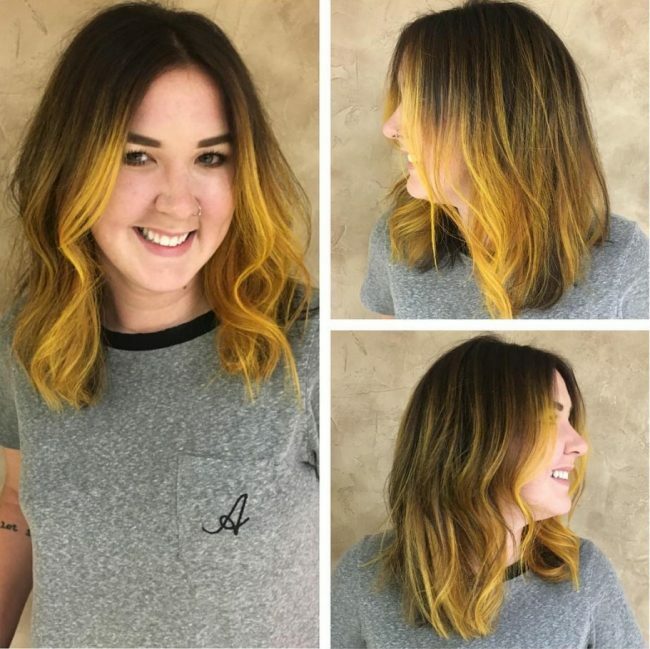 To create this lovely design you will also need to use balayage, and it entails transitioning from your natural black shade to an electric yellow hue. And with such a perfect ombre color pattern a couple of braids flowing to the back are enough to spice up your look. Although this is still an ombre hairdo, it does not have the traditional drastic color transition. Instead, the copper orange is the most dominant shade with a goldenrod hue on the ends to give the thick V-shape curly locks a perfect tone. 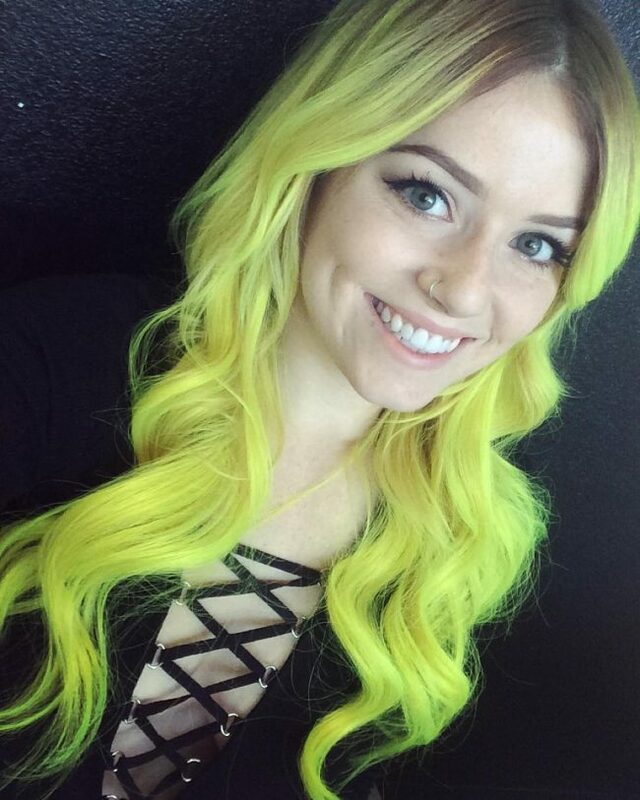 The lemon zest in this hairdo is adorable, and it will brighten your hair and put a smile on your face every time you lock at the mirror. It also transitions to a white blonde shade on the lower half of the hair to create a perfect ombre design that makes the long wavy, and textured locks look magnificent. This hairdo proves that yellow hair does not have to be dazzling to look beautiful because you can still have an elegant appearance by keeping it subtle. In this ombre long bob, chocolate is the base color, and you only have to add some pigments of yellow on the lower half and at the front to create an adorable hairdo. If you though your crop cut is attractive enough you should look at this glamorous design. 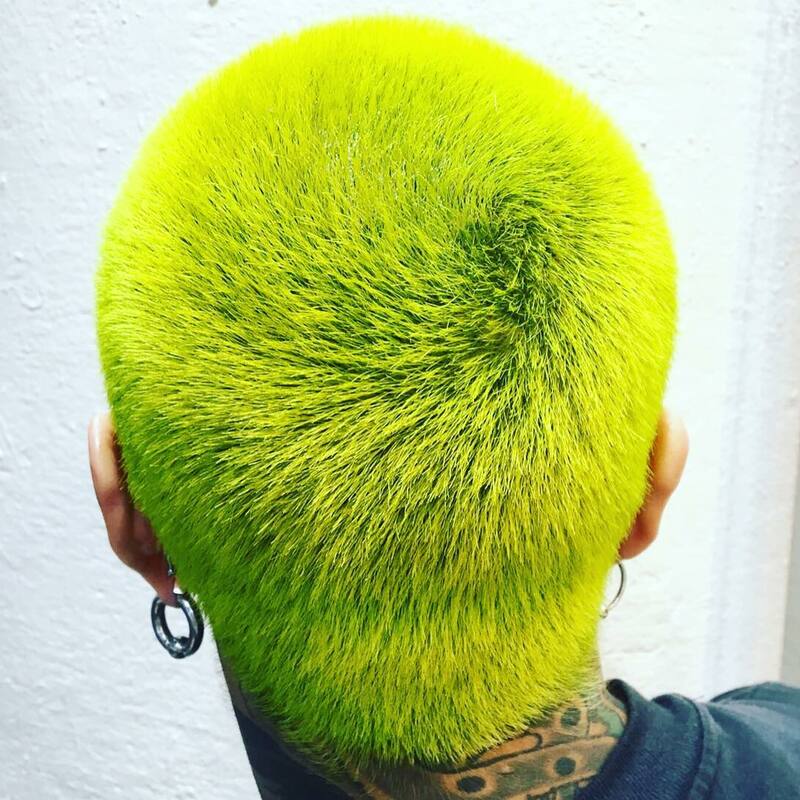 To create this look, you only have to chop your locks into a spiky and messy crop cut and then hand paint a light yellow hue in a uniform tone throughout the head. 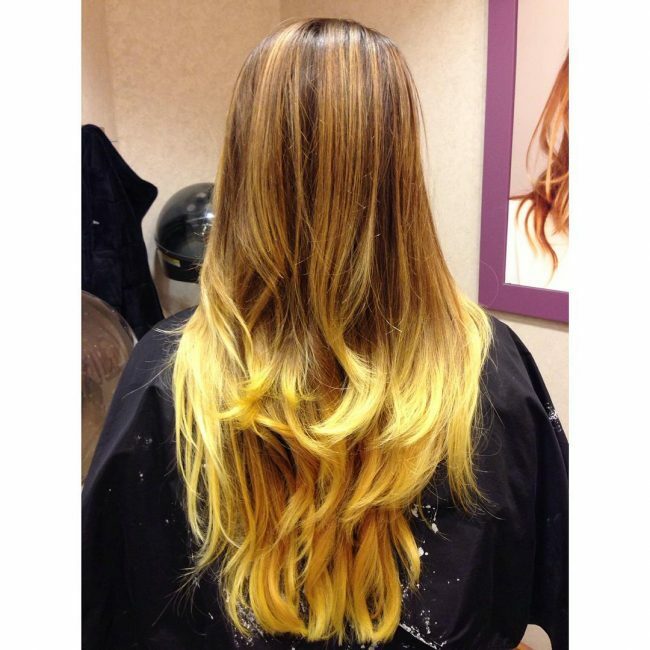 A perfect ombre pattern should look like this one, and the best thing about it is that you can achieve it effortlessly. Here you only need to paint a golden glow on the lower end of your black soft curls and style by sweeping your mane to the sides. 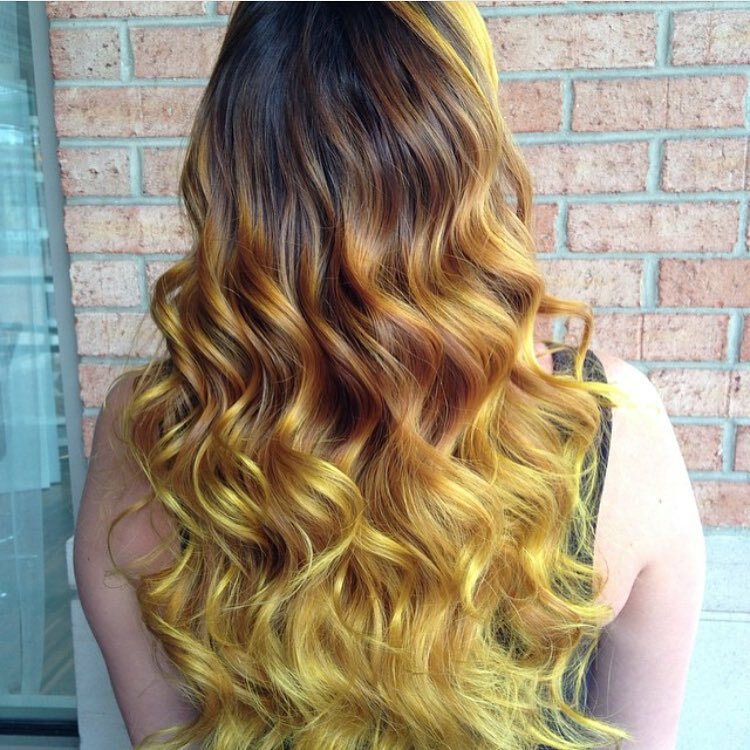 Although it might not look like it, this hairstyle still has a yellow shade, but it blends with brown to create a distinct tone. And if you spice this with some pink peek-a-boos then you will have a trendy and unique color pattern. 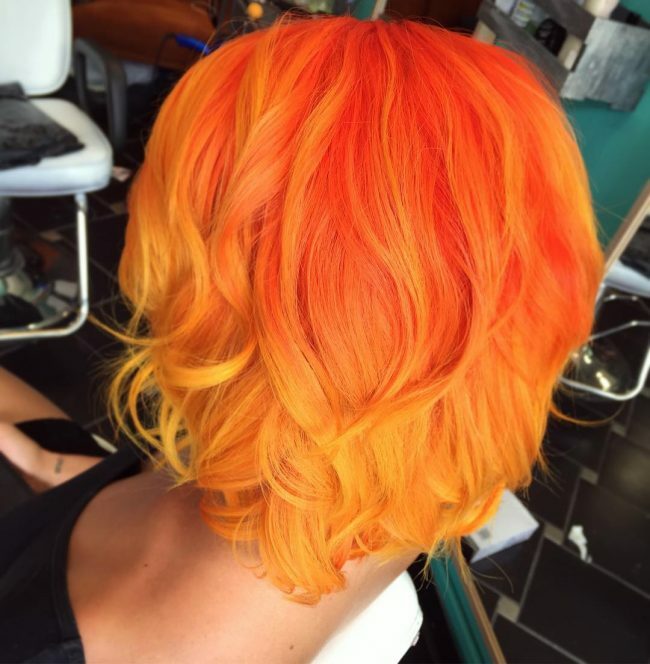 Orange and yellow make a perfect match, and this is why most ladies will prefer to use the two for their colorful hairstyles. 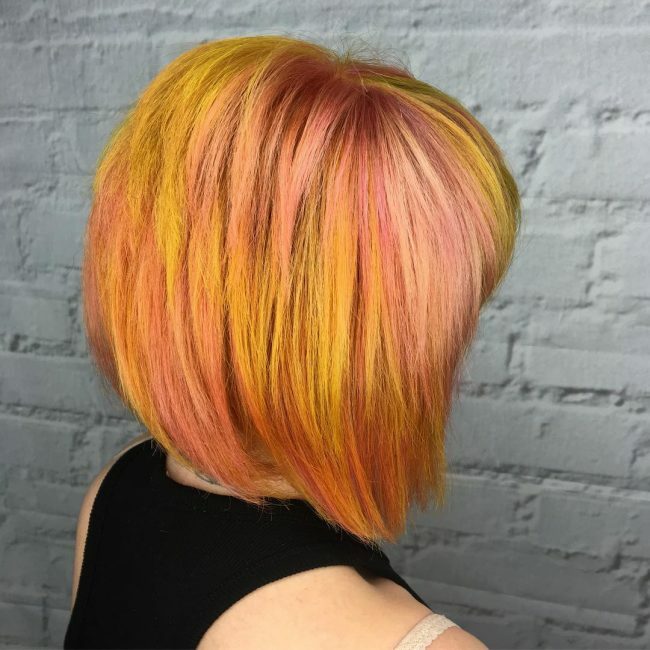 In this design, the shades are in a fantastic sombre pattern, and you can make it by blending the two hues and making the yellow dominant on the ends. The short haircut also has some textured curly locks that you should style by layering. 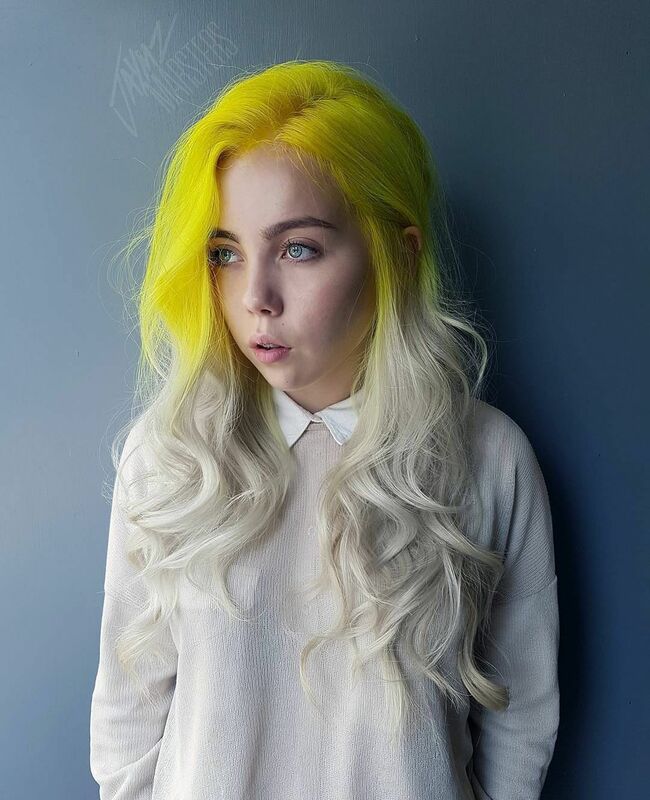 Yellow has several shades and some like this look nothing like what most people are used to, but this is what makes this hairdo unique. 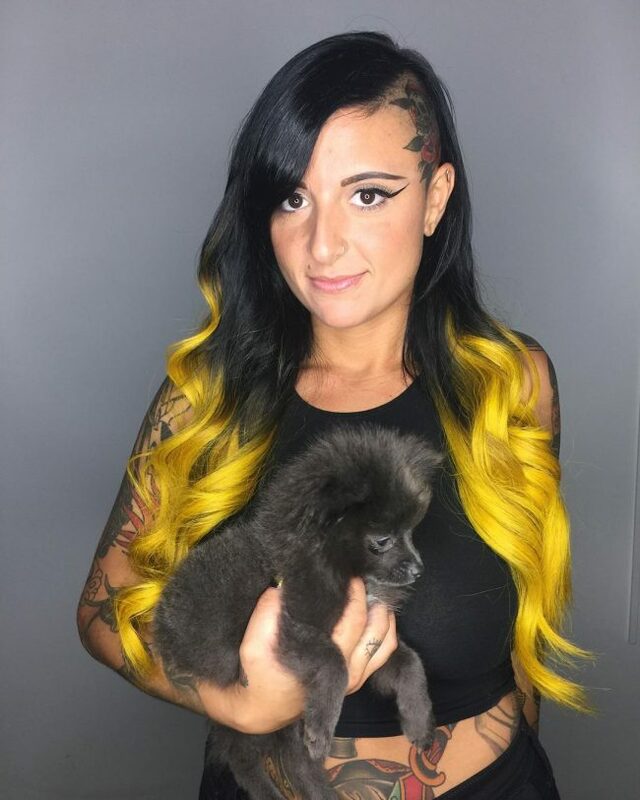 The subtle shade makes this a perfect yellow design, and if you darken the roots and style by sweeping your hair into a face frame, you will get a very stylish appearance. 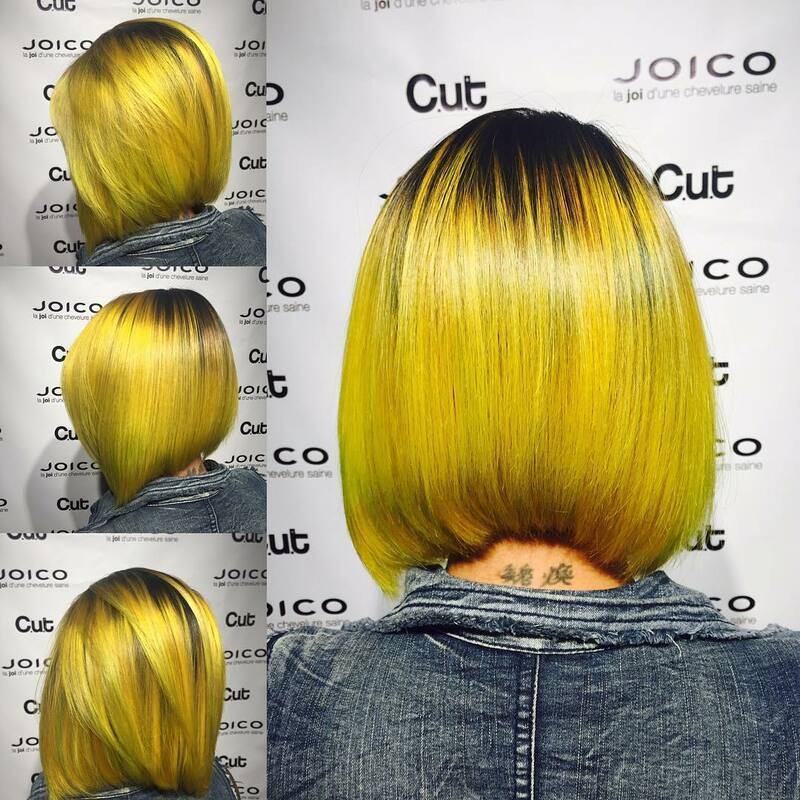 Lemon hues make a fantastic yellow hair design, and if you have a bob haircut like this, then you can be confident of a top notch appearance. The design is in ombre pattern that entails transitioning from the natural black shade to the dominant lemon hue. And since the blunt bob already has a perfect cut you do not need to do anything else apart from getting the color. 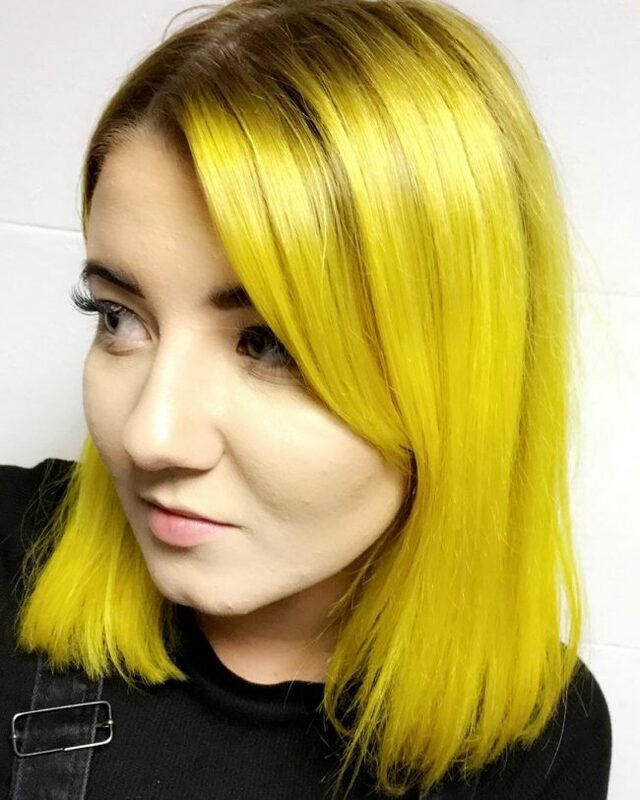 Most people think that yellow always has to be bright and outstanding, but this is not true because you can still have a subtle shade like this one and still look magnificent. To wear this look, you should transition from a light brown base color to a subtle yellow hue on the lower section of the hair and finish by pushing back your textured locks in layers. This chin length bob has a fantastic haircut that entails making it blunt and uniform. 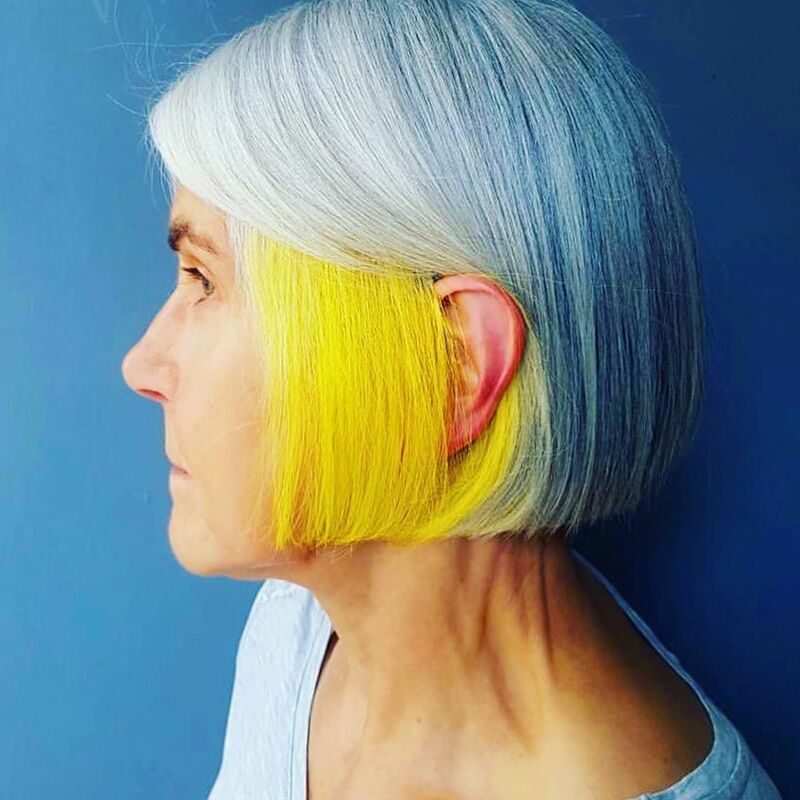 However, its color is the most outstanding thing in the style and involves having a dominant silver gray shade throughout and giving some strands a pastel yellow shade to create a fabulous peek-a-boo design. Goldenrod is a unique shade, and this makes it perfect for a woman who wants a color that will make her stand out. 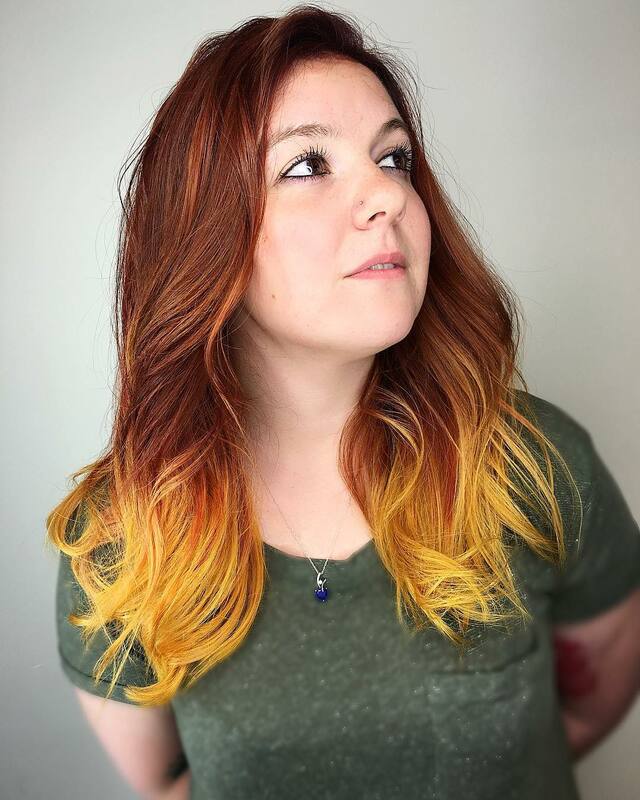 In this design, the balayage color pattern entails transitioning from a chocolate brown shade to the goldenrod to create a glamorous hairdo. These locks also have some long and textured curls that provide an excellent surface for the colors. The color on this hairdo is what most people know as yellow, and it is what most will turn to when they wish to brighten their look. In this hairdo, it is on a brown base shade, and this creates a simple ombre pattern and the hair also has some lovely natural curls that help to spice up the overall appearance. 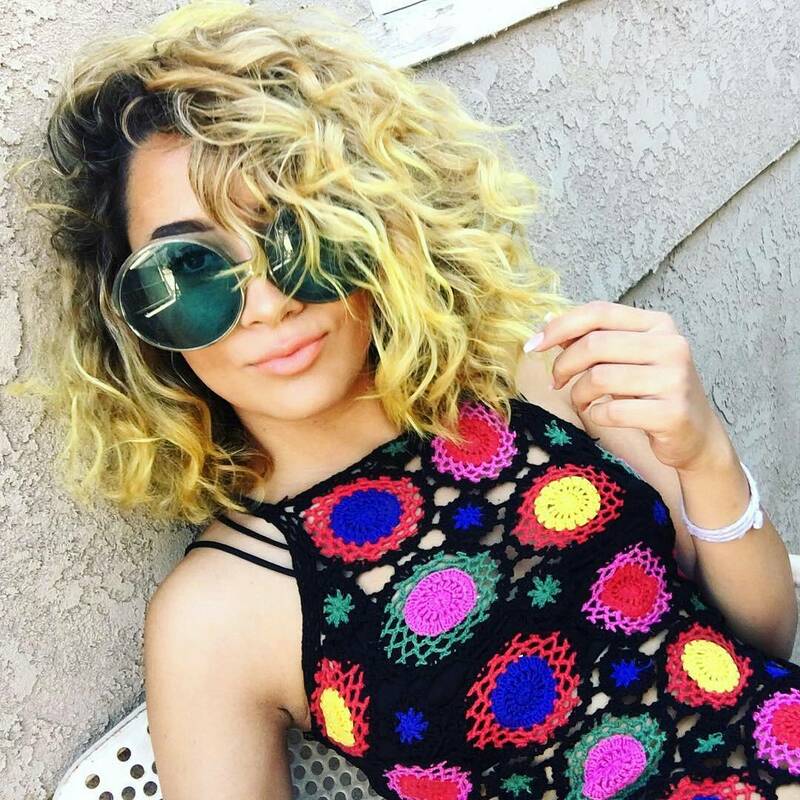 You do not have to keep a long mane to wear many shades because you can still achieve this even with a short A-line bob like this one. In this style, the A-line has a hand painted blend of orange, yellow and pink that gives it a gorgeous overall tone. The brightness of electric yellow is enough to transform any hair into a majestic hairstyle. In this design, the shade is throughout the head, and it is the most dominant but the roots are dark for some contrast. And to style your gorgeous mane you should knit two small braids and push them into a face frame over the forehead and the rest of the strands to the side. Copper red might be the dominant shade in this hairstyle, but the introduction of the yellow shade on the ends of this headdress is what makes it stand out. The locks in this design also have an excellent texture and some beautiful waves that add some depth to the colors and all that you need is to sweep them to the sides to finish the style. 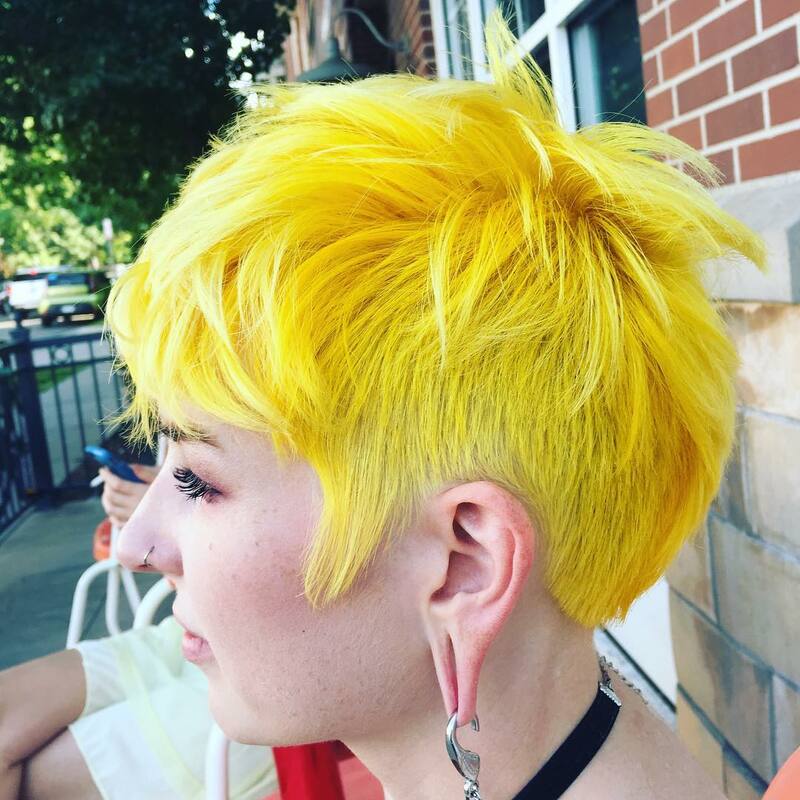 Yellow hair is attention-grabbing and so if you have one of its many bright shades you will be the center of attraction everywhere you go. However, there are still some options available for ladies who prefer subtle or conservative looks. 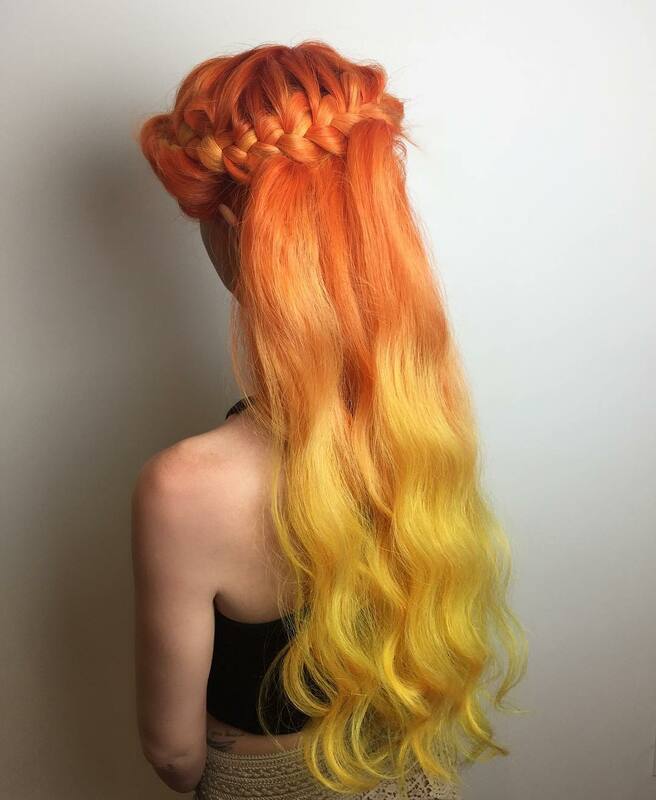 This versatility and the ability to transform any hairstyle into something majestic are what make this a unique color. 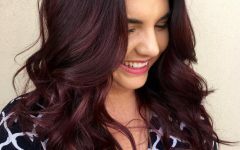 Look through the 25 fabulous hairdos for some shade options and patterns that you can use to wear this lovely color.